Casey and Austin planned a gorgeous wedding at the Vista West Ranch in Dripping Springs, Texas with rustic touches and beautiful vibrant colors. 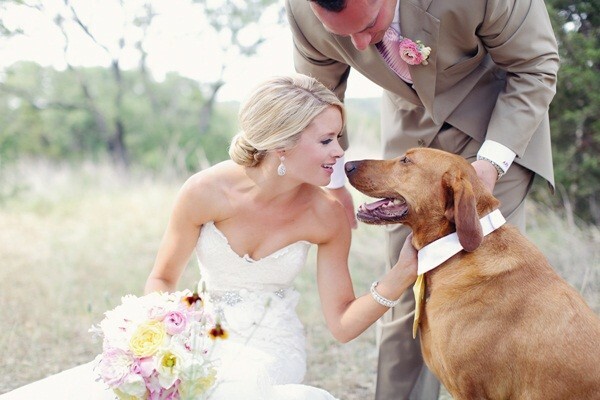 They included their adorable pup, Cowboy and even had him walk directly down the aisle! We absolutely love how they chose a tie for their dog that also matched the yellow bridesmaids dresses. Read more about their wedding here!